The most common therapeutic approach used at Louisiana Chiropractic is the chiropractic adjustment, or spinal manipulation. The purpose is to restore joint mobility with the manual application of a controlled force to joints that are restricted or hypomobile due to soft tissue injury. This injury can be caused by a single traumatic event such as the improper lifting of a heavy object or repetitive stress, like sitting with poor posture for extended periods. In either case, the injured tissues in the body undergo physical and chemical changes that cause inflammation, pain and diminished function. The chiropractic adjustment restores mobility to the tissues and joints, alleviating discomfort and tightness so that the tissues can heal. 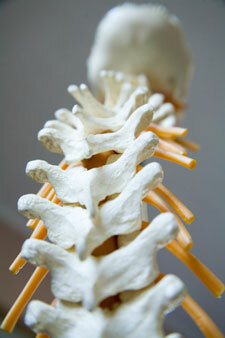 When you begin, the first stage of care involves chiropractic adjustments and passive therapeutic modalities. The chiropractic techniques we use are Diversified, a manual method; the instrument-based Activator Methods® and Thompson Drop, which involves a specialized table with a drop piece. The passive modalities we may recommend for you include heat, ice, electrical muscle stimulation and ultrasound. We also offer massage therapy on-site. As you progress with your care, we’ll move to modalities such as traction and spinal decompression. Finally, Dr. Dane will recommend strengthening and stability exercises and neuromuscular re-education as a part of your care. Contact us today to schedule your visit! We accept insurance coverage and have on-site digital X-ray facilities.